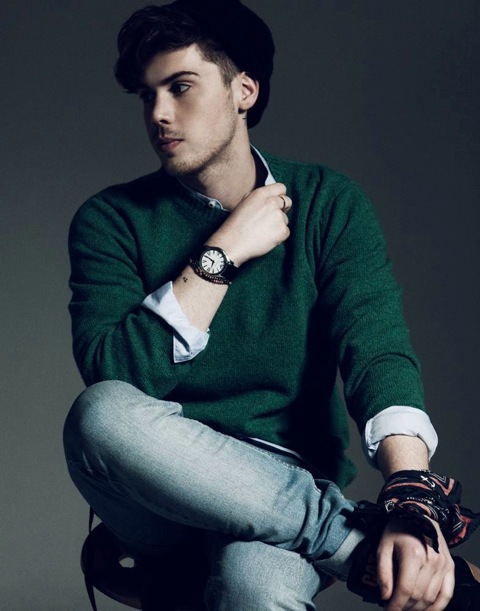 We have a bit of a soft spot for British singer songwriter Aiden Grimshaw (left). And though the former UK ‘X Factor’ star’s debut single ‘Is This Love’ has sunk like a stone on this week’s British singles chart (from a No.35 debut last week to No.100 this week), it remains one of the most exciting and forward-thinking pieces of pop ever to be borne from a reality TV show. Nevertheless, he’s pressing on with things in the lead-up to the release of his debut album ‘Misty Eye’, announcing a UK tour and his second single, entitled ‘Curtain Call’. The new tune is said to contain a choir featuring exclusively his own voice, albeit with just one female backing vocalist. It’s due for release in Britain on August 12, just a week out from the release of the LP, which will contain a cover version of Sia’s stunning ‘Breathe Me’. Can’t wait.